​It is a common belief that babies and children should have no structural stresses or strains in their bodies, because they are ‘so young’. The reality can be very different. The birth of a baby is one of the most stressful events of our lives. The baby is subjected to enormous forces, as the uterus pushes to expel the baby, against the natural resistance of the birth canal. The baby’s head has the remarkable ability to absorb these stresses, in a normal delivery. In order to reduce the size of the head, the soft bones overlap, bend and warp as the baby descends, occasionally babies are born with odd shaped heads as a result. In the first few days, the head can usually be seen to gradually lose the extreme moulded shape, as the baby suckles, cries and yawns. Some babies cope extremely well with the process of being born, and are contented and happy. For others it is a different story, and they may display a variety of problems, including having uncomfortable stresses within their body due to a difficult birthing process. Lara has considerable experience treating infant and children's musculoskeletal issues. Check-ups are available for your child including assessments after accidents and falls. Please contact Lara with any questions. Children can have an osteopathic check-up on a regular basis to ensure they are developing without any misalignment or abnormal tension that may contribute to health problems. In the case of the cranium, neck and spine, trained osteopaths can palpate to assess if there are any stresses or strains in these areas. After delivery, the bones of the baby’s skull should realign to their correct position. If this does not occur, a mechanical disturbance with adjacent tissues may result, upsetting the balance of the different physiological processes within the body through abnormal tension within the interconnecting soft tissues; alternatively, abnormal reflexes may be allowed to develop through irritation of nerves. When forceps or ventouse have been used, strains to the infant skull and neck are more likely, causing tension in the surrounding soft tissues. Abnormal tension within the soft tissues can affect limbs, pelvis and postural alignment. Osteopathic treatment may help to rectify this. Trauma and falls can cause misalignment in the skeletal framework of the body and muscular injuries. Through interconnecting fascia and nerves, pain and discomfort can result even away from the original site of injury. Symptoms are not always immediate and can start weeks after the incident. The number of children complaining of back and neck pain appears to be increasing. The carrying of heavy school bags and sitting at computers for extended periods of time is affecting children’s posture. It is possible to correct minor misalignments in the spine early on, to prevent them becoming major problems later in life. If your child is complaining of painful muscles or joints, osteopathic treatment may give some relief. Lara can give advice on how to maintain good posture and avoid strain. 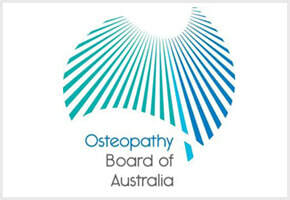 If you would like advice on whether your child might benefit from osteopathic treatment, please contact Lara. Osteopathic treatment for children includes specific soft tissue massage and osteopathic techniques applied where necessary. These may aid the release of stresses and strains. Reactions to treatment are variable, often the baby or child is very relaxed afterwards and sleeps well. Others have a burst of energy after treatment, usually followed by a good nights sleep. Occasionally children are unsettled after treatment, however a treatment reaction should pass within 24 hours. On average, 4 to 6 treatments are sufficient. This varies according to the severity of the problem. The younger the better, it is never too early to treat. It may be possible to achieve beneficial release of the stresses with older children and throughout life.